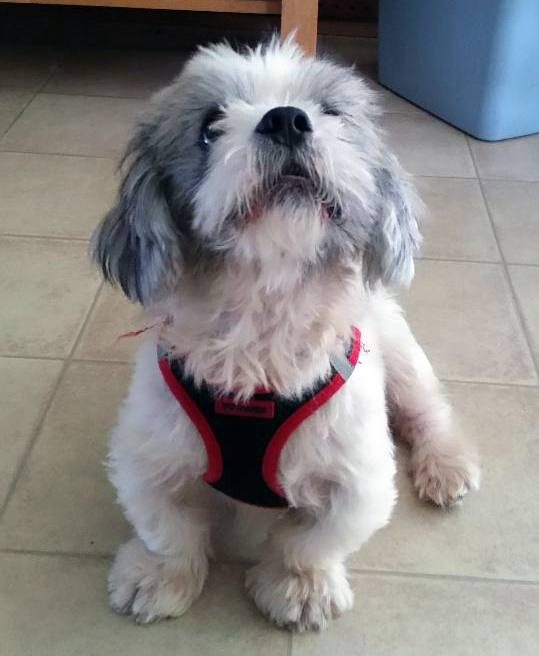 Monty is an 8+ yr old Shih Tzu boy who was picked up as a stray in Philadelphia. He is a quirky little guy with lots of personality and a great deal to say about life (his middle name is Sir Barksalot). He knows how to sit and is very food oriented, so much so that it’s important to keep food and treats separate from other animals in the house. He walks well on the leash, but his front legs are bowed so he doesn’t like long walks and would prefer to wander around the yard and rest in the sun. It’s clear he experienced cruelty in his past, so he takes his time to warm up – and then opens up with affection and enthusiasm. Monty has a food allergy so his diet is grain free and frequent baths are welcome. He gets along with other animals and would also be happy to be the only recipient of your affection. He’s a lovely little guy with many years ahead of him. Monty is being fostered in Southern Delaware and his adoption donation is $300.